Marketing is no piece of cake, especially in the current era, when consumers are more aware and exigent. As a result, even the simplest marketing campaign can cause controversy. At the heart of PR and marketing is ‘communication’, and if this aspect goes away then the aim of creating narratives that resonate with the target audience takes a hit. Want to know the extent of damage that can be brought about by negative publicity and marketing nightmares? Then ask Burger King. Their “rats in fast food joint” video notched up 1 million views and 24,000 shares. But more unfortunately for the burger joint, it eroded the image of a hygienic quick service restaurant, a severe rap by health officials, and temporary shutdown of the Delaware joint. On the other hand, there are success stories like Diesel’s supposedly knockoff store Diesel (in New York) retailing genuine Diesel clothes and accessories. Shoppers’ amusing reactions in this video are testimony to the the enhanced visibility and loyalty boost a brand receives in cases of clever marketing and PR campaigns. One point becomes clear from these multiple illustrations – it’s important to realize that it takes time to build your business’ reputation, and only seconds to destroy it. That being said, there’s nothing like a good failure to learn a good lesson. That’s why I’ve decided to tell you about 9 social media fails and what you can learn from them. For ages, Dove has positioned itself as a brand that empowers women and encourages realistic, natural standards of skin and face. The brand has been on top of the Beauty sector for a decade. Most of this time, Dove has maintained its reputation successfully. They have empowered natural beauty with various campaigns such as Evolution and Real Beauty Sketches. These campaigns have made women confident about their looks, skin, and beauty. But there is one dark spot in the white image of Dove. A Facebook post by Dove turned into a crisis for the company. The Transformation ad by Dove shows how an African-American woman turns into a young white woman by using the body lotion of Dove. This is completely contradictory to what Dove stands for. They have always said that every beauty is a real beauty. However, showcasing a change of race in an ad did not convey the same message. More than not aligning with the brand messaging, this ad insults a huge section of the brand’s audience. Not surprisingly, this ad got a lot of backlash from ladies of different races. They felt uncomfortable and angry. Dove had to remove the ad. They also released a statement saying they have learned to review their content critically. They apologized and accepted how wrong the ad was in terms of our social environment as well as the brand’s own representation. What we learned: You have to always remember what your brand stands for. Also, reviewing every campaign before launch is extremely important. Your campaign should align with current social, cultural and political scenarios. Otherwise, it all turns into a disaster in seconds. Would you rather Slap Rihanna? 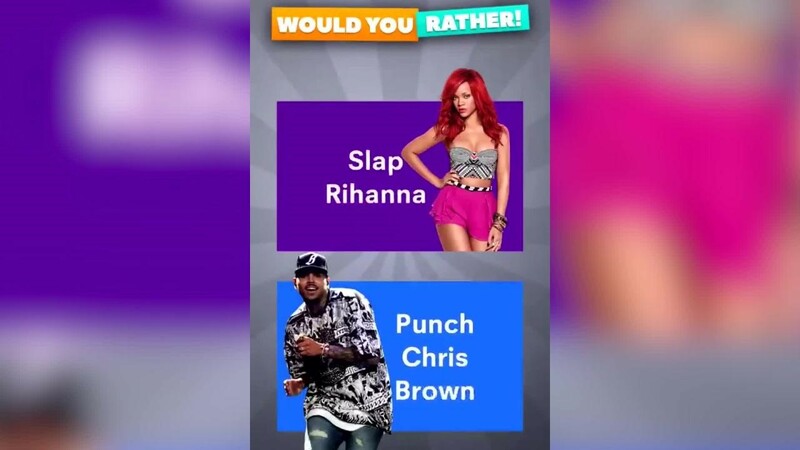 Or, would you Punch Chris Brown? The ad clearly targeted the case of domestic abuse during the period when Rihanna was assaulted by Chris Brown in 2009. The immense level of criticism forced Snapchat to remove the offensive ad and release an apology. However, Rihanna refused to accept the apology. What we learned: Your guidelines for marketing campaigns can be as strict as possible. But they don’t matter if you don’t apply them. Burger King went sexist and crude when it came to promoting in the Russian division. 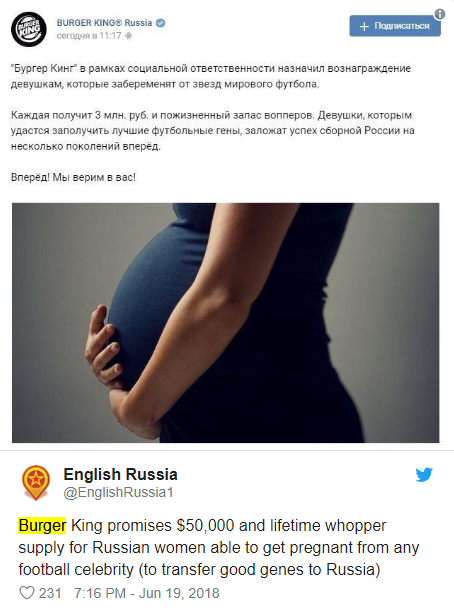 They offered to provide Whoppers for a lifetime along with 3 million Russian rubles to women who would conceive a Soccer World Cup player’s child. The backlash wasn’t a big surprise there! Social media, as well as social outlets, spoke against the campaign. The campaign was removed and the company apologized with a statement. What we learned: No matter which market you target for business campaigns, you can’t afford to be demeaning, crude or sexist. When it comes to controversies, Starbucks has found itself struggling many times. 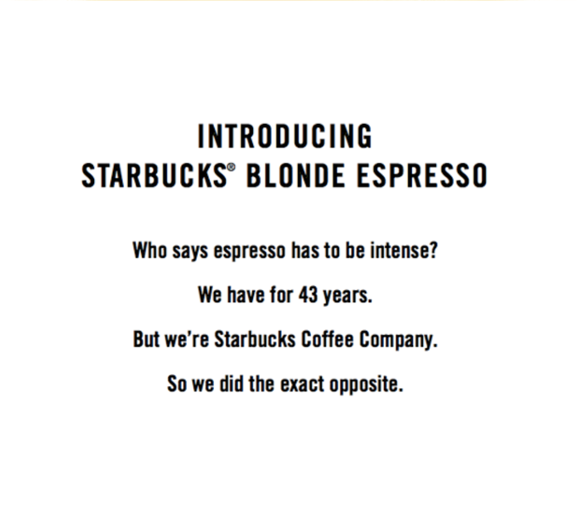 This controversy took place recently when Starbucks started promoting their Blonde Espresso. The ad is confusing and has been trolled a lot on social media. However, the brand hasn’t done anything about it. What we learned: Social media marketing is all about the clarity of your message and its effectiveness. A campaign can make sense to you, but it might not do much for your target audience. It would be wise to have it reviewed by a third party before launching. No matter how confident you feel about your social media posts, always give it another look and double check before posting. Pepsi turned the serious issue of racism into a mockery with their ad featuring Kendall Jenner. The advertisement had a scenario, in which “Black Lives Matter” protesters were in a standoff with police. 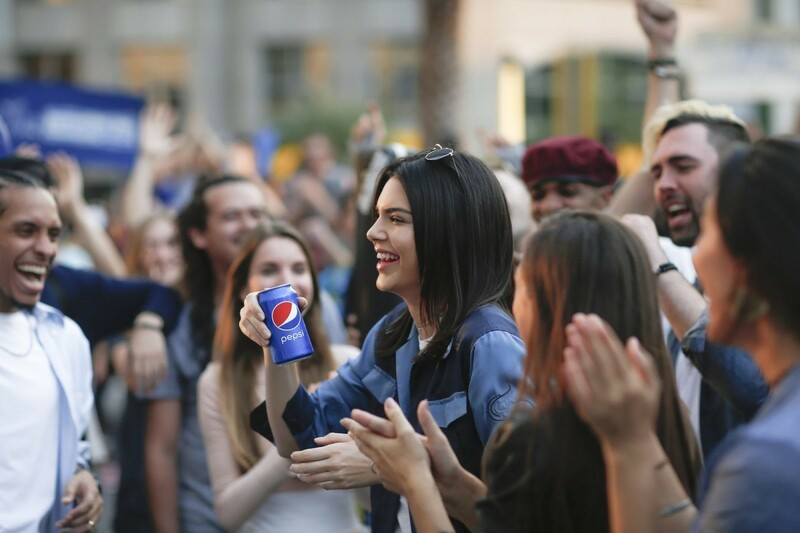 In the ad, the issue is easily resolved because of a Pepsi Can offered by Kendall Jenner to one of the police officers. This created a storm of criticism all over the social media. The ad was pulled by the company, and shortly after, the president of the company Brad Jakeman resigned. What we learned: Issues such as sexual harassment, domestic abuse, and racism are too sensitive topics to tap into when creating a marketing campaign. The UK website of the brand H&M posted a controversial image. 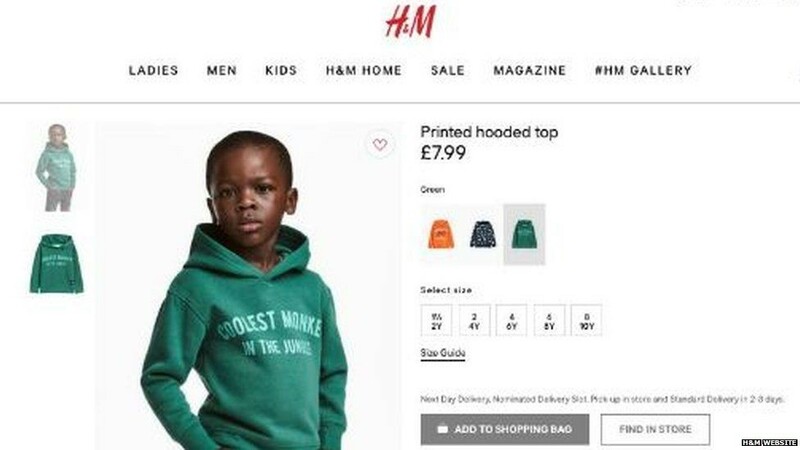 A Black, male child model wore a green hoodie printed with the words “Coolest Monkey in the Jungle”. The image went viral in a negative way and people blamed the brand was called out for its racist undertones and the history of referring to Black people as apes and monkeys. After this controversy, brand endorser the Weeknd halted his collaboration with H&M. What we learned: Campaign planners and photographers need to review and remain cautious of the scenario they want to create with their images. Even small details become easily visible on the internet. You would expect a top news publisher like the New York Times to critically check and evaluate every piece of content. However, they failed when publishing the article President Trump’s Exaggerated and Misleading Claims on Trade. The editor of this article had an extension on the browser called “Millennials to Snake People”. 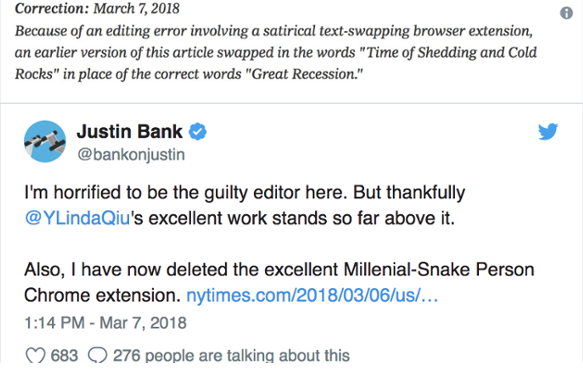 This extension replaced “millennials” with “Snake People” in the article. The article’s errors were visible all over the internet. The editor utilized Twitter to issue his apology. 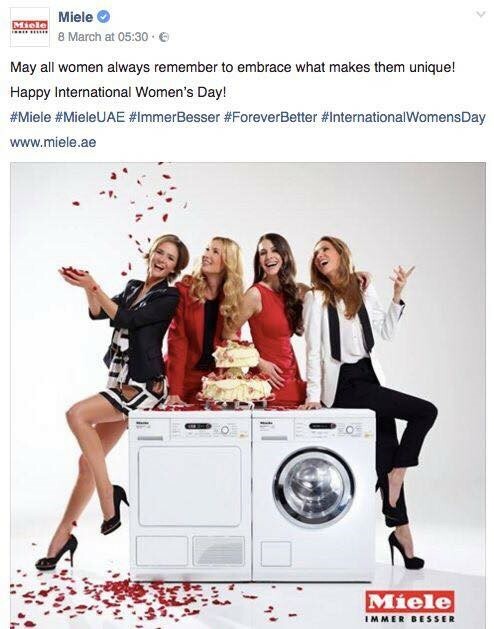 Miele, a manufacturer of appliances, found a stereotypical to celebrate International Women’s Day on Facebook. Showing four women feeling excited about having a dryer and a washer was a big mistake in the modern-day scenario. The ad was removed pretty soon from the Facebook. What we learned: Marketing has to be free from typical stereotypes. You need to understand your target audience. To promote a positive image of New York Police Department, the social media department of NYPD launched a hashtag “#myNYPD”. The idea was to encourage civilians to use the hashtag to post friendly pictures with policemen. However, the results were not as positive as they thought. People started posting pictures showing police brutality. What we learned: The social media department of NYPD should have anticipated the results in advance. It is important to go through the whole history of your brand to predict the outcome of a campaign. The high visibility from social media demands that marketers need to be extra careful in designing social media marketing campaigns around brands. This way they can generate the required buzz and steer clear of negativity and trolls. What top social media marketing fails do you remember? Let us know in the comments below. Google Analytics & E-Commerce Analytics certified, Amit Kothiyal has 9+ years of experience in digital marketing. He has helped numerous brands establish their online niche with his out of the box internet marketing strategies and lead generation capabilities. He is active on Twitter where he shares his experiences with similar professionals across the globe.